The rest of Euro NCAP’s tests saw five-star ratings awarded to the Audi Q3, BMW X5, Hyundai Santa Fe, Jaguar I Pace, Peugeot 508 and Volvo V60. 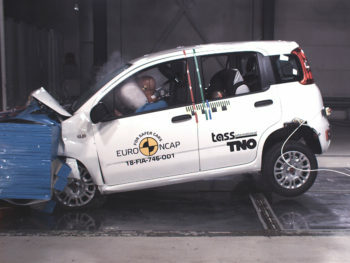 However, Euro NCAP pointed out there were some issues with these cars too, such as with the Hyundai Santa Fe, where tests found an issue where the side curtain airbags of cars equipped with a panoramic roof could be torn during deployment. In response, Hyundai has already changed the airbag fixings in production and early cars are subject to an official recall. The BMW X5 also suffered from airbag problems.